We believe that when people experience an event as a community, it can change peoples’ lives in different ways. Welcome to our community, by visiting accessing or browsing through this site you unequivocally grant your consent to the Terms and Conditions stated herein. Eventful is a community for individuals and businesses to show case their events and invite others to attend their events thereby touching lives in different ways. In every community there must be rules and guidelines to ensure orderliness and respect for law and order. Eventful is no exception. These Terms and Conditions governs your use of the site and creates a legally binding relationship with us either as a user, consumer or as an event planner. If you do not agree with these Terms or if you withdraw your consent at any time, kindly leave the site and do not in any circumstances subscribe to our services except you consent to these Terms. Users: This refers to all visitors who browse or access our site. Event planners: This refers to users who are individuals or companies that organize events, create profiles in relation to their events, promote their event pages and sell or reserve services related to their events. Consumers: This refers to users who use the services of the Event planners by purchasing related services to the event. They also refer to users who use our services by paying for tickets or registering to attend a particular event on our site. Eventful is an event management, marketing, ticketing and registration company registered under the laws of the United States with its office at 111 Hempstead Turnpike. West Hempstead NY 11552. We provide the services of event management, marketing, ticketing and registration. Event planners to promote their events on our website. Event planners to request us to promote their event in a number of sites or manage their events. Event planners to sell their tickets or registrations for a paid event. Consumers to register for a particular event. Consumers to purchase tickets for a particular event. In providing our services, we are not responsible for the contents or lack of contents uploaded by the Event planner. The Event Planner assumes the sole responsibility to comply with the provisions of the applicable law in its locality for creating and managing events. For instance, ensuring it has obtained all necessary license needed for the event. The Event planner also have the duty to make sure, its content concerning the event is accurate and sufficiently descriptive. When accessing particular features on Eventful, you are required to create an account. Thus, your access and utilization of some services is conditioned upon the creation of a user account. You are solely responsible for the safety of your account and are advised to keep your password private. Disclosure of your password can lead to security breach of your account. Likewise, you must never use a third party’s account in assessing the services on this site, except with the express approval of the third party. Eventful shall not be liable to you in any way for any and all losses arising from the breach of your account. Should you suspect or notice unusual activity in your account, you are advised to immediately change your password and also inform Eventful of such unauthorized use. You are at least 18 years of age or the legal age of adulthood in your jurisdiction. All the information provided is true, accurate, current and complete and you undertake to update information about yourself as soon as it changes. You have the authority to legally bind the company on whose behalf you are using the services and you represent that you are the accredited representative or agent of the company. If there is an ownership dispute arising from the ownership of an account between two or more persons or companies, we shall be sole judge of the dispute and our decision shall be final and binding on the parties involved. All Event planners are allowed to choose the payment mode for collection of fees from Consumers for its events. These modes are including but not limited to paypal account, credit card, debit card or direct transfer. Consumers must use the payment mode selected by the Event planners. In cases where the Event planner does not use Eventful’s third party payment service provider but an independent payment processor, Eventful shall transfer the consumer’s payment details to the independent payment processor. Eventful only acts as a limited agent of the Event planner for the singular purpose of using its third-party payment service providers to collect payments made by Consumers on the Services and transferring such payments to the Event planner. Eventful recognizes and understands the importance of intellectual property rights. Be assured that all contents, resources and materials you submit as an Event planner solely belongs to you and you shall at all times maintain and retain ownership rights on the contents including the right to replicate, distribute and modify. By submitting materials on this site, Event planners grants Eventful nonexclusive right to use, reproduce, distribute, modify and adapt such material for the purposes of providing its services to Event planners. Lawful and in accordance with the laws of the United States. Trade name, Service marks, Trademarks, logos, text, graphics, photographs, videos, codes, design, structure, selection and arrangements, interfaces and other materials or contents displayed on our site save for Event planners contents are registered and unregistered trademarks of Eventful and are protected by copy right, trademark, patent and other intellectual property and proprietary rights which are reserved to us. You are not permitted to reproduce, copy, use, download, modify, distribute, transmit, broadcast, print, use reverse engineering on the material contained on this site for commercial use. Information, software, products or services obtained from the Site, or use of the Site for purposes competition is expressly prohibited. THIS SITE IS PROVIDED ON AN “AS IS” AND “AS AVAILABLE” BASIS. WE RESERVE THE RIGHT TO RESTRICT OR TERMINATE YOUR ACCESS TO THE SITE OR ANY FEATURE OR PART THEREOF AT ANY TIME. YOUR USE OF THIS SITE IS AT YOUR INDIVIDUAL RISK. WE EXPRESSLY DISCLAIM ALL WARRANTIES OF ANY KIND, WHETHER EXPRESS OR IMPLIED, INCLUDING BUT NOT LIMITED TO THE IMPLIED WARRANTIES OF MERCHANTABILITY AND FITNESS FOR A PARTICULAR PURPOSE AND ANY WARRANTIES THAT MATERIALS ON THE SITE ARE NONINFRINGING, AS WELL AS WARRANTIES IMPLIED FROM A COURSE OF PERFORMANCE OR COURSE OF DEALING; THAT ACCESS TO THE SITE WILL BE UNINTERRUPTED OR ERROR-FREE; THAT THE SITE WILL BE SECURE; THAT THE SITE OR THE SERVER THAT MAKES THE SITE AVAILABLE WILL BE VIRUS-FREE; OR THAT INFORMATION ON THE SITE WILL BE COMPLETE, ACCURATE, OR TIMELY. IF YOU DOWNLOAD ANY MATERIALS FROM THIS SITE, YOU DO SO AT YOUR OWN DISCRETION AND RISK. YOU WILL BE SOLELY RESPONSIBLE FOR ANY DAMAGE TO YOUR COMPUTER SYSTEM OR LOSS OF DATA THAT RESULTS FROM THE DOWNLOAD OF ANY SUCH MATERIALS. NO ADVICE OR INFORMATION, WHETHER ORAL OR WRITTEN, OBTAINED BY YOU FROM US OR THROUGH OR FROM THE SITE SHALL CREATE ANY WARRANTY OF ANY KIND. WE DO NOT MAKE ANY WARRANTIES OR REPRESENTATIONS REGARDING THE USE OF THE MATERIALS ON THIS SITE IN TERMS OF THEIR COMPLETENESS, CORRECTNESS, ACCURACY, ADEQUACY, USEFULNESS, TIMELINESS, RELIABILITY, OR OTHERWISE. The official language of this site is the English language. All transactions must be conducted in the English language. Any inconsistencies created in the translation by non-English user are not binding and have no legal effect for compliance purposes. If any questions arise as per the precision of the information contained in a translated English text to another language, please refer to the official language text in the site which is English. 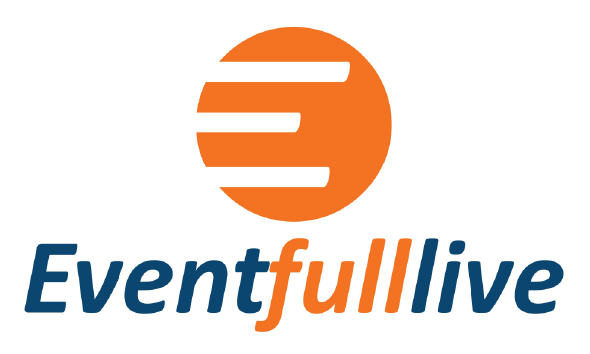 Eventful is not obligated and does not intend to monitor, or control content sent or received by Consumers using Eventful Services and therefore accepts no liability to Consumers or any other person for the content of any communications transmitted over its site by Event planners and other third parties. Nevertheless, Eventful reserves the sole right to remove or edit any content it deems to be in breach of its policies. Eventful shall in no event be liable to any consumer or other third party for any direct, indirect, special or consequential damages for actions taken pursuant to this policy, including, but not limited to, any loss of profits, business interruption, loss of programs or other data, or otherwise. Without prejudice to any liability which cannot be excluded or permitted by applicable law, you acknowledge and consent that you take full responsibility for your use of our site. You understand and agree that any information you send or receive during your use of the site may not be secure and may be intercepted by unauthorized parties. You agree that your use of the site is at your sole risk. Recognizing such, you acknowledge and agree that, to the fullest extent permitted by applicable law, neither Eventful nor its affiliates or third-party content providers will be liable for any direct, indirect, punitive, exemplary, incidental, special, consequential, or other damages arising out of or in any way related to the site, or any other site you access through a link from this site or from any actions we take or fail to take as a result of communications you send to us, or the delay or inability to use the site, or for any information or services advertised in or obtained through the site, Eventful’s removal or deletion of any materials submitted or posted on its site, or otherwise arising out of the use of the site, whether based on contract, tort, strict liability, or otherwise, even if Eventful or its affiliates has been advised of the possibility of damages. This disclaimer applies, without limitation, to any damages or injury arising from any failure of performance, error, omission, interruption, deletion, defects, delay in operation or transmission, computer viruses, file corruption, communication-line failure, network or system outage, your loss of profits, or theft, destruction, unauthorized access to, alteration of, loss or use of any record or data, and any other tangible or intangible loss. You specifically acknowledge and agree that neither Eventful nor its affiliates shall be liable for any defamatory, offensive, or illegal conduct of any user of the site. Nothing in these Terms is intended to exclude or limit any condition, warranty, right or liability which may not be lawfully excluded or limited. Some jurisdictions do not allow the exclusion of certain warranties or conditions or the limitation or exclusion of liability for loss or damage caused by willful acts, negligence, breach of contract or breach of implied terms, or incidental or consequential damages. Accordingly, only those liability and other limitations which are lawful in your jurisdiction (if any) will apply to you and our liability is limited to the sum of $100 or the exact amount you paid for our services which ever is less. You agree to indemnify, defend, and hold harmless Eventful and its affiliates and their officers, directors, employees, contractors, agents, licensors, service providers and subcontractors from and against any and all losses, liabilities, expenses, damages, and costs, including reasonable attorneys’ fees and court costs, arising or resulting from your use of the Site and any violation of these Terms. Eventful reserves the right, at its own expense, to assume sole defence and control of any matter otherwise subject to indemnification by you including settlement of third party claim and, in such case, you give your consent to cooperate with Eventful in the defence of such matter. This Site may contain links to external websites which are operated by third parties. Kindly read the Terms and Conditions of the external websites as those sites are not in any way affiliated to our site. The links are provided as a convenience to you and as an additional avenue of access to the information contained therein. We have not necessarily reviewed all the information on those other sites and are not liable for the content of those or any other sites or any products or services that may be offered through those or any other sites. Consequently, any losses or damages arising from the use of the website is not attributable to Eventful. Inclusion of links to other sites should not be viewed as an endorsement of the content of linked sites. No failure or delay on the part of Eventful in exercising any right or remedy provided in these Terms shall operate as a waiver thereof; nor shall any single or partial exercise of or failure to exercise any such right or remedy preclude any other or further exercise thereof or the exercise of any other right or remedy under these Terms. We may, without your permission, freely assign these Terms and our rights and obligations under these Terms whether to a partner or to another entity in connection with a merger or an acquisition. All notices given hereunder shall be given by email or mail to the address you provided when creating an account. Eventful may also provide notices of changes to these Terms or other matters by displaying notices or links to notices to you on its site. In the event that any provisions of these Terms are unenforceable for any dispute or claim or held to be invalid the offending words or content shall be deleted and the remainder of these Terms shall be interpreted so as best to reasonably effect the intent of the section. These Terms is governed by the laws of the United States without regard to its principles of conflicts of law, and regardless of your location. You agree that any arbitration under these terms will take place on an individual basis; class arbitrations and class actions are not permitted, and you are agreeing to give up the ability to participate in a class action by agreeing to these Terms. Eventful may terminate or suspend your use of the Service at any time and without preceding notice, for any or no reason, including if Eventful believes that you have violated or acted contradictorily with these Terms. Upon such termination or suspension, your right to use the Service will immediately cease, and Eventful may, without liability to you or any third party, immediately block your associated device(s) from accessing or using the Service, and deactivate or delete your user name, password and account, and all associated materials, without any obligation to provide any further access to such materials or contents.